On mandatory payout days, the carryover jackpot is completely disbursed and shared by all bettors holding tickets with the most winners. The Rainbow 6 was last solved for a $101,000 jackpot payoff on May 13, three days after a lucky bettor took down a $1.2 million jackpot through the Lewiston, Maine hub. Saturday’s Rainbow 6 sequence will span Races 9-14, and will include the Princess Rooney in Race 12 and the Smile Sprint in Race 13. Curlin’s Approval is scheduled to clash with seven other fillies in mares in her quest to win back-to-back runnings of the Princess Rooney, a seven-furlong sprint that is a designated Breeders’ Cup ‘Win and You’re In’ race that will award the winner a fees-paid berth into the $1 million Breeders’ Cup Filly & Mare Sprint (G1) at Churchill Downs Nov. 3. Multiple graded-stakes winner X Y Jet looms as an odds-on favorite in the Smile, a six-furlong dash in which he will make his first start since finishing second in the $2 million Dubai Golden Shaheen (G1) at Meydan March 28. First-race post time for Saturday’s 14-race card is set for 11:55 a.m.
Jaramillo won three of the first four races Friday to close within one win of Gaffalione, scoring aboard Gran Malbec ($5) in the first race, Darwish ($7.60) in the second and Venezuelan Pegasus ($7.20) in the fourth. Gaffalione came right back to win aboard Graydar’s Resolve ($3.40) in the fifth race and Incredible Grace ($5) in the sixth. Gaffalione has 11 mounts, including My Miss Tapit in the Princess Rooney and Reason to Soar in the Smile Saturday. Jaramillo is scheduled to ride 10 horses, including Rich Mommy in the Princess Rooney and X Y Jet in the Smile. Victor Barboza Jr. saddled Gran Malbec for his first-race win to take a slim one-win lead, 17-16, over defending champion Todd Pletcher, Oscar Gonzalez and Antonio Sano in the trainer’s race. Stanley Gold, Ralph Nicks, Ralph Ziadie, and Armando De la cerda, are two back with 15 winners. Arindel holds a 14-10 edge over Bruno Schickedanz in the race for leading owner. Hosts and analysts Jason Blewitt, Acacia Courtney and Ron Nicoletti take a look at Saturday’s Rainbow 6 and how they will play it. Phase one in the construction of my Rainbow 6 ticket for Saturday’s Summit of Speed centered on X Y Jet in the Smile Sprint (race 13). Just as I suspected, X Y Jet – an insanely gifted, classy and fast racehorse – cast an imposing shadow over the Smile. Single. I bounced next to leg 1 (race 9) and attempted to figure out who was live. There are seven first-time starters in that 10-horse cast of 2-year-old maiden claimers. It’s a tough race, and add some of the trainers involved – Kathleen O’Connell, Ralph Nicks, Ralph Ziadie, Saffie Joseph Jr. – and you have got one tricky 2-year-old maiden heat. In the end, I opted for one runner with experience, Awesome Friday and two firsters, Sunshine Bay and Bargainaire. I prefer the dropdowns, mainly Friend Zone and Iron Johnny in race 10. 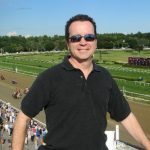 It’s a similar situation in the 11th race as the three runners on my Rainbow ticket are each plummeting in claiming price (friendly reminder: the three trainers I used here in Victor Barboza Jr., Gustavo Delgado and Ralph Nicks are all in the running to win the spring meet training title). 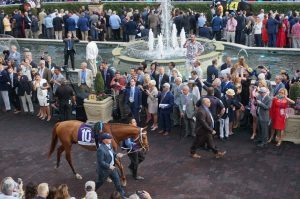 Each barn might be getting a little aggressive with their stock in the hopes of scoring a Gulfstream Park training title). We’re back up in class in race 12, the Grade 2 Princess Rooney. I only used two here with Curlin’s Approval (the defending winner) and My Miss Tapit. I’m anxious to see how the public bets My Miss Tapit because I see her co-favored with the classy Curlin’s Approval. Excellent match-up. Fast-forward to race 14. Coverage, coverage and more coverage. The final leg has 14 runners in the body and consistent and/or reliable form in this $10,000 maiden claimer is a little tough to come by. I opted for a five-horse spread in race that’s a real scramble in my eyes. No matter who you like or how you see things, I wish you the best of luck! When crafting this Rainbow 6 ticket, I wanted some coverage right off the bat with the maiden claiming race that kicks off the sequence. I ended up just using two horses in the second leg, although that is a race that I would potentially use more of a spread if I was putting together a more costly ticket. I used three horses in the 11th race, but I am most intrigued by 6-1 shot Journey’s End, who is a re-claim for owner/trainer Jose Jimenez. The G2 Princess Rooney goes as Race 12, and I am using the inside three horses, with My Miss Tapit as my top pick. These three fillies all have outstanding resumes. The stakes action continues with the G3 Smile Sprint, where I used X Y Jet and Reason to Soar. In my opinion, if X Y Jet runs his race, he will be tough to catch. However, Reason to Soar has a different running style, where he can come from off the pace, and may be sitting in the perfect spot as they get closer to the wire. He is also 4-for-4 at Gulfstream. I wrap up the sequence with three horses and some coverage in the nightcap, using the most logical chalks. When constructing a Rainbow 6 ticket my main objective is try to find a single horse that I can use in my sequence so I can spread and use more horses in races that are more challenging to find a winner. That certainly is the case with super sprinter X Y Jet competing in the Grade 3 Smile Sprint, which is the penultimate race (13) on the ticket.